The Kiber Island Incident story in The Defenders #84 is the first meeting of T'challa and Namor in the 616 continuity and the first time in publication history that T'challa/Wakanda and Namor/Atlantis met. Kiber Island is owned by Wakanda and Wakandan smugglers were using the island as a meeting place for some Atlanteans who are purchasing some stolen state secrets. The Black Panther shows up to stop the transaction with his fists. We later find out that that Atlanteans were from the royal navy and this acquisition was approved by Namor on accident due to his disdain of state procedures. While T'challa is chasing the naval ship, he is captured by Namor's royal vessel. Namor goes to meet this "intruder" himself, only to discover the intruder is the King of Wakanda. After T'challa escapes (showing off his intellect and technology), he runs into Dr. Banner (who is on the ship following the events of The Defenders #83), and wakes him up, causing the Hulk to emerge. T'challa and Namor bicker again, Hulk breaks the ship, and T'challa is sucked into the open ocean unconscious. 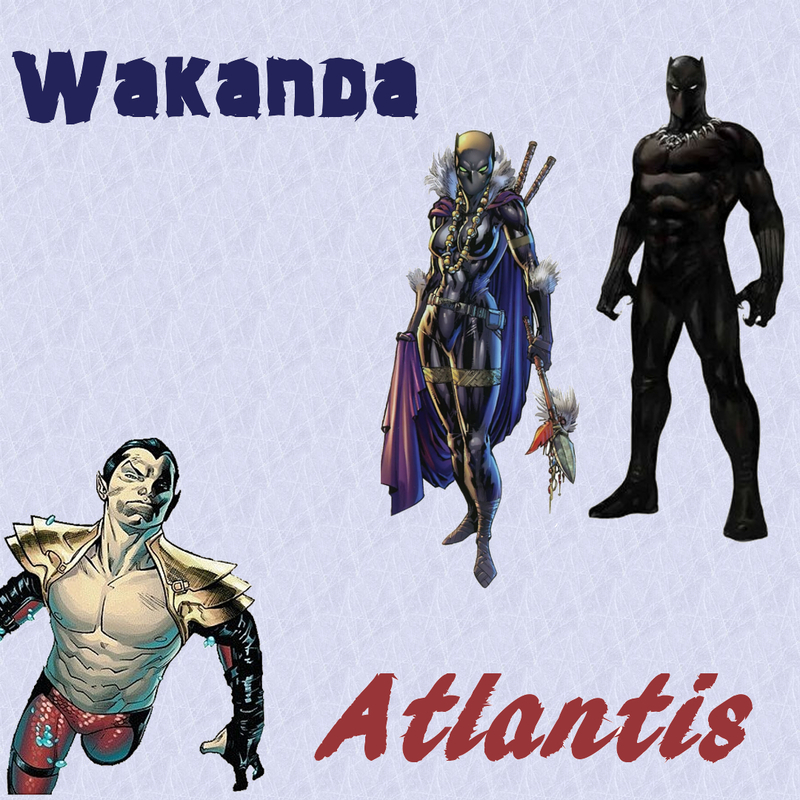 Luckily, his Navy arrives and the first conflict between Wakanda and Atlantis begins. With T'challa unconscious, his generals take command. When the Hulk jumps out of the ocean and leaves Atlantis, the Wakandan generals believe it is missile sent for them... and decide to straight up try and nuke Atlantis. T'challa wakes up, sees what has happened, and contacts Namor to try and save Atlantis... which Namor does by redirecting the nuke to Kiber Island. Namor then promises to get his captured people back, or else. As far as I can find, Namor never made good on this threat and the prisoners were never mentioned again. Later, T'challa and Namor met again by accident at the Dr. Strange's house as T'challa was meeting with the Defenders, only for Namor to throw a temper tantrum and leave immediately.